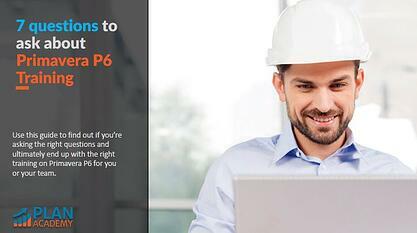 Are You Asking The Right Questions About Primavera P6 Training Before You Enroll? If you’re interested in learning Primavera P6 project management software, you probably already know there are many options out there to get trained up. Deciding on how to get trained usually starts with a google search. And the results can be overwhelming. Which training company should you choose? What training will be the best for you? You will definitely have some questions to ask before you enroll. This guide walks you through 7 questions you should ask before enrolling in any Primavera P6 training. It will help you discover some of the key differences between training providers. Using it, you can make sure you are asking the right questions and ultimately end up with the right training for you or your team.